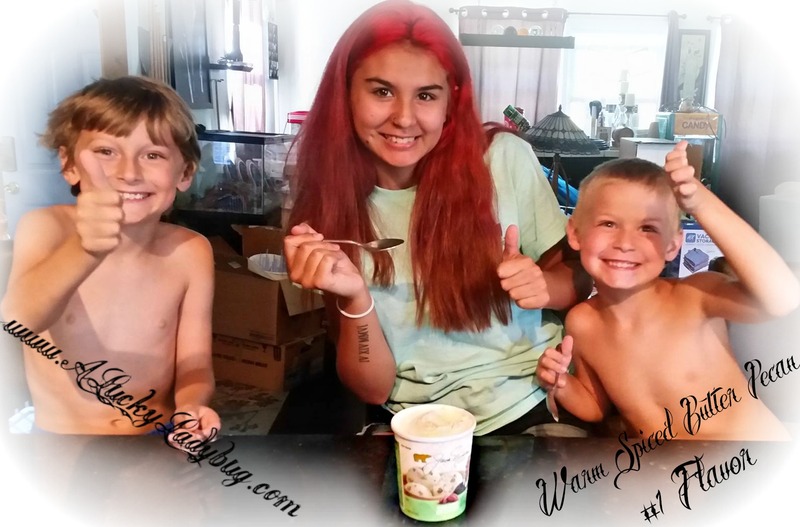 Growing up I was a lucky child in quite a few ways, one of which was my access to ice cream. Yes, I know that sounds like quite the odd statement to make but it's true. My Father worked for a major ice cream company for the majority of my childhood. This meant, we constantly went to "ice cream socials" for his company and always had TONS (and I mean tons) of ice cream stocked at the house. Regardless of the season, I had at least half a dozen choices in ice cream for breakfast, lunch, and dinner if I really wanted. That being said, ice cream is my go to food/dessert for any mood or celebration. While we no longer have that kind of access, my love for the creamy dessert still exists. I love sharing that same excitement with my family anytime we can. 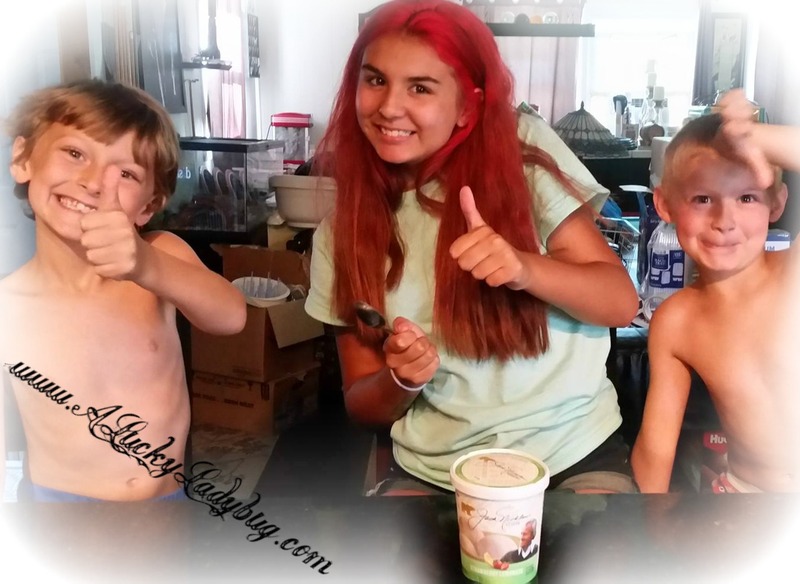 So when I recently discovered a new brand of ice cream, I knew I had to get my hands on it for one of our family taste testing nights. With July being National Ice Cream Month, what better way and time than now to celebrate. "Jack Nicklaus Ice Cream was developed in partnership with legendary pro-golfer Jack Nicklaus and The Schwan Food Company in 2015 with the goal of bringing families together with an affordable, delicious dessert. Additionally, a portion of sales of the product goes to support Children’s Miracle Network Hospitals." We were able to sample quite the variety of flavors together which included: Black Cherry, Coffee and Donuts, Chocolate Peanut Butter Swirl, Strawberry Lemonade, Triple Chocolate, and Warm Spiced Butter Pecan. 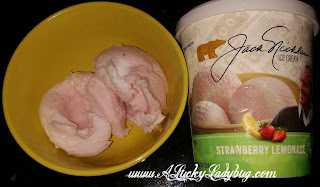 I wish I had found the flavors which we would have loved to try the Pineapple Upside-Down Cake, Blueberry Cheesecake Ice Cream, or Cookies n' Cream Ice Cream, but there's always next time around. There's also the unique Salted Caramel Toffee Ice Cream and Mango Crisp Ice Cream flavors with of course the more traditional flavors like Homemade Vanilla Chocolate Chip Cookie Dough, Mint + Chip Ice Cream. 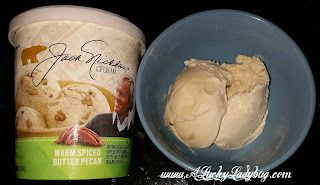 Our family favorite of the flavors we were able to try was unanimously the Warm Spiced Butter Pecan Ice Cream. 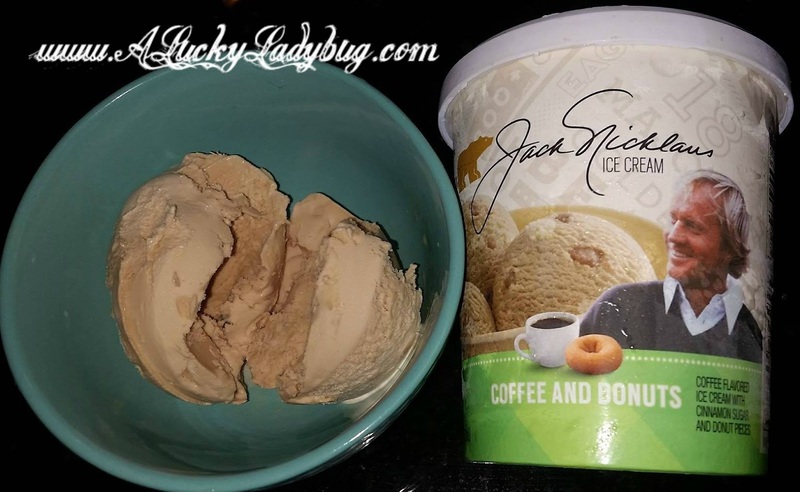 We were all pretty impressed though with the amount of "extra's" in each of the flavors. Each pint was loaded with things like chocolate, donut pieces, pecans, or black cherries. 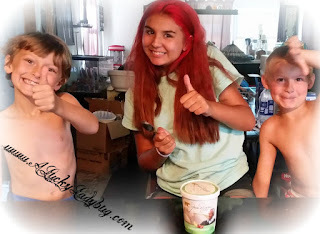 And each flavor honestly tasted unique from any other store bought ice cream brand, I've ever tried (being the ice cream connoisseur I'd like to think I am, hehe). 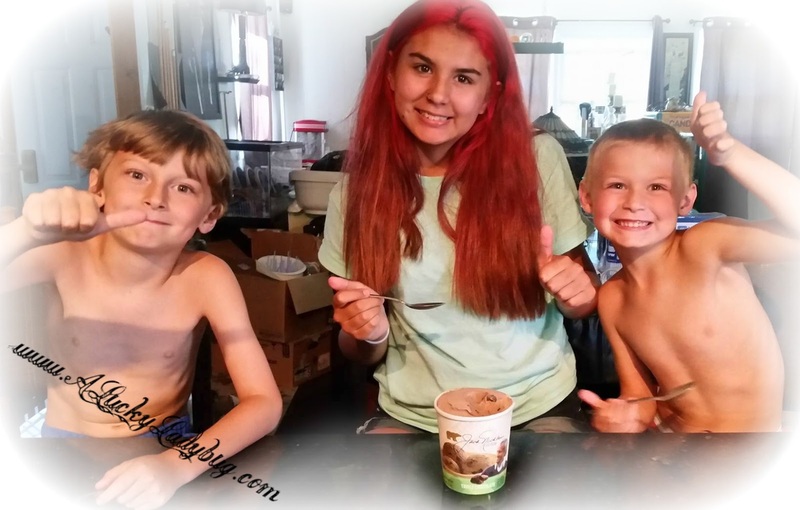 My husband was thrilled to learn that one of his favorite golfers had created such an amazing line of products for our family to enjoy. The kiddos were of course excited for the obvious reasons and again I get to enjoy the same amazing treat I've always loved. 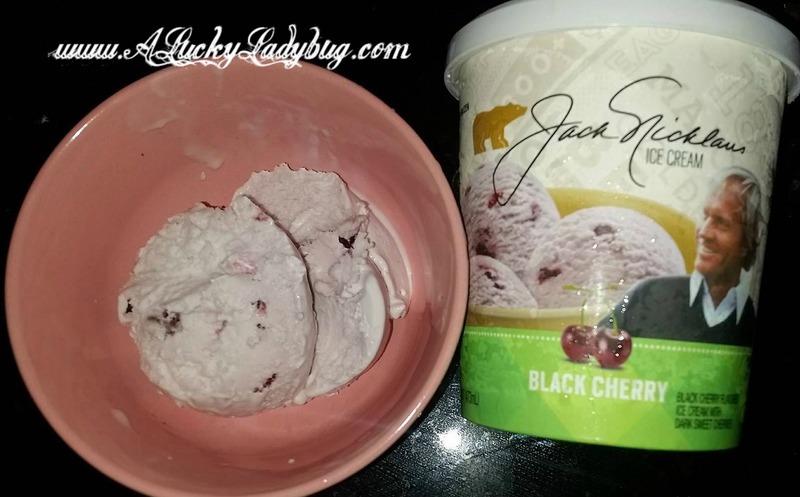 Giveaway: Jack Nicklaus is going to give one of A Lucky Ladybug's lucky readers an awesome ice cream/golf package* to try it on their own!